Traveling is fun, but let us face it - all the walking, standing, running, and scurrying take its toll on the feet. When push comes to shove, it can really hurt. A lot. As such, having good and comfortable shoes is not just a priority. It is a lifesaver. 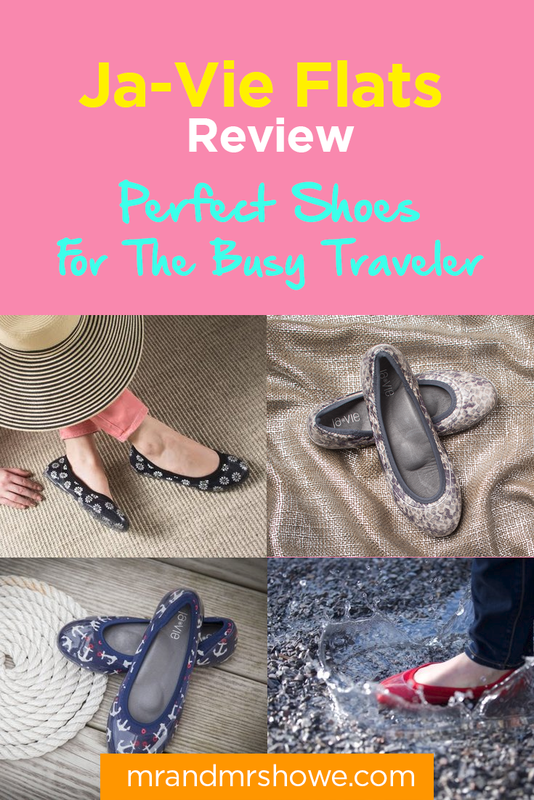 With all the globe-trotting I do, you better believe I have tried and tested a tremendous amount of footwear just to find the best one to offer me maximum support, function, and style. And now that I am all set to live on our sailboat, a new category has been added to my demands: it has to be waterproof, too! Fortunately, it is all too easy to find the shoes to meet all my needs. Meet Ja-Vie, the perfect ballet jelly flats for people who like the beach and water in general. 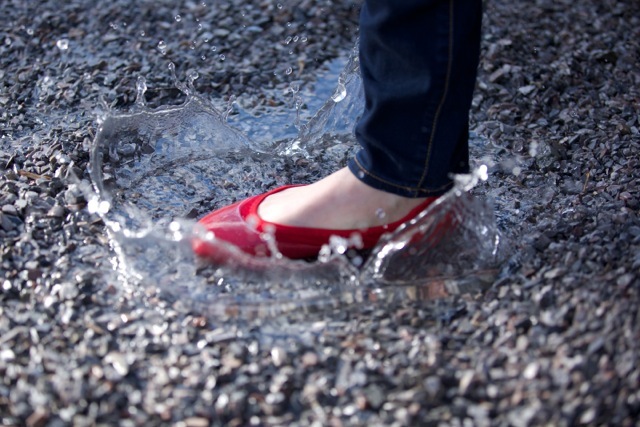 These flats are water-proof, soft, lightweight, and flexible. Made of soft and breathable cotton, it has a blister-free, huggable fit, that provides cushion and support exactly where you need it. After you use these flats, nothing else will do! Whatever activity you do, there is no doubt your feet can stand the abuse without pain or discomfort. Ja-Vie is almost like a second skin. It has a good fit, thanks to its unique design. The soft double-ply mercerized cotton knit sock is combined with lightweight jelly outsoles and cushioned leather insoles. It is like the shoes hug your feet - a gift from heaven! The comfort features of Ja-Vie make it the ideal traveling partner. When you are wearing these beautiful flats, do not just walk - run, skip, and jump, too! Unlike most common flats, the topside of the insole is padded to cushion the arch, ball, and hell of your feet. These nice comfort features cradle your feet, helping to redistribute the weight and ease pressure and fatigue. Friction is reduced as well so no blisters even if you wear it on the first day! Other features of the Ja-Vie insole include a heel shock absorber, soft and resilient foam material, airvents for breathability, a velcro so it is easy to wash, and replacement soles sold separately. REMINDER: Take the insole out before machine washing your flats! Lightweight. Thanks to the jelly outsole, these flats add no weight to your bag when not in use. The band also goes around the shoes. You can put the bottoms of the shoes together, do not fold, and then bundle it up for storage. In addition, the jelly outsole also makes Ja-Vie flats flexible and slip-resistant. Versatile. Whatever your activity, you can count on these shoes to provide maximum support to your feet. Walk, tour endless, trot in the beach, sail - your feet will remain happy and so will you! Blister-free fit. New shoes are useless when you cannot even wear them out of the box, right? But no worries, you will not have any blisters because of the knit lining of Ja-Vie shoes that is made of 100% soft and breathable cotton. Water-proof. Whether you are traipsing in land or sea, your feet are covered! Easy care. Take the insole out and throw them in the machine. Done! Stylish! Ja-Vie shoes are the cutest. They come in plain and printed designs and are easy to pair up with anything. The style is definitely the best mix of sophistication and comfort. What more can a girl ask for? I have to come up with cons, too. The only cons I can think of is a.) The leather inserts cannot be washed (which is hardly any problem actually) and b.) It follows European sizing (which can be easily sorted out if you follow this sizing guide). In all, Ja-Vie shoes offer the best value. You will never ran out of uses for it and you will adore it endlessly, just like I did. Give them a try and you will know what I am talking about. These could be the best thing that ever happened to your feet while on the road or sea! Place your order now at ja-vie.com, price starts at $68.